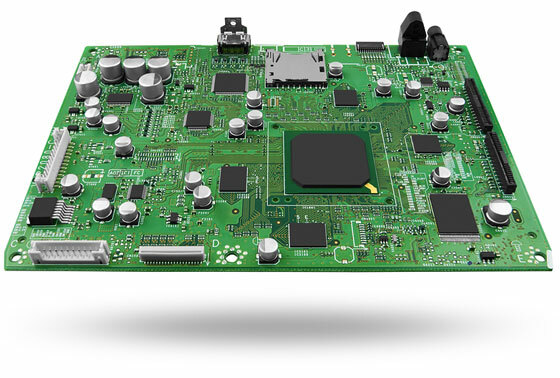 Electech can provide you with cost effective and quick turnaround on prototype boards for proof of concept. Electech has over 1 million components in stock, and can draw on our large network of component sources for low cost/high quality component parts. Electech uses Altium design software. Electech can provide “same as”, or updated form, fit and function replacements for obsolete or hard to find boards and electronic assemblies. Drawings and specifications make the task easier, and can reduce the cost, but Electech personnel have the skills and ability to reverse engineer a part using only a sample unit. Please refer to the Case Studies to see a couple of examples of projects completed by Electech. From quick-turn prototypes, through volume production, Electech is ready to handle all of your assembly needs. Our state-of-the-art technology is fast, accurate and repeatable, with every PCB assembly manufactured in compliance with IPC-610 Class II or III acceptability criteria. We can handle small quantity as well as volume production. All our services are at a very competitive price, and with 100% satisfaction guarantee. Functional test - Test Beds can be provided to Electech as part of the contractual obligations for the duration of the project, or can be quoted and built by Electech.